Tayside Geodiversity is a voluntary group that is interested in making Tayside’s geology and landscape better known. 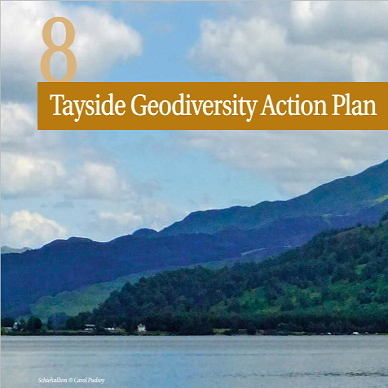 The group aims to produce leaflets and information boards about local geology and geomorphology sites and to protect and improve these sites in the three council areas (Angus, Perth & Kinross, and Dundee) that make up Tayside. Local Geodiversity Sites can be important for educational purposes, scientific study, historical value, and for public awareness and appreciation of landscape and geology. They were formerly known as Regionally Important Geological Sites (RIGS).